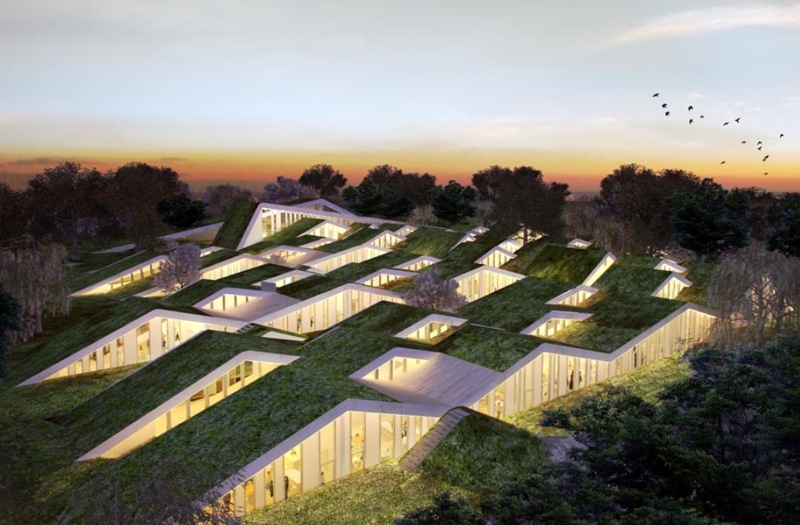 Bjarke Ingels Group recently unveiled a proposal for a school in Asminderod, Denmark that is topped with a series of undulating green roofs. The bands of greenery create an immersive landscape for the children that compliments the school’s focus on nature and sustainability. The building themselves are remarkably energy efficient and make great use of daylight. The school features a variety of green building techniques that teach environmentalism by design, including water catchment, biodiversity preservation, and minimal site impact. The peaked roofs are offset from each other, creating spaces for large windows that saturate the interiors with sunlight. Rooms are connected by intersections within the building’s bands. The result is a series of spaces both intimate and large. Natural cooling is provided by a displacement system that removes warm stale air from on top and replaces it with fresh air cooled by the local landscape. We’ve seen a lot of green roofs lately for a good reason. They help cool and insulate buildings, control rainwater runoff, and add much needed biodiversity. 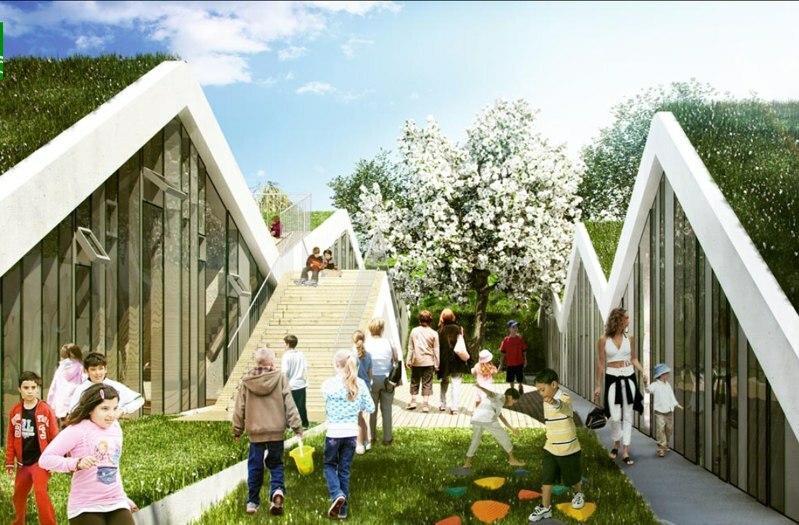 BIG‘s proposal takes the unusual step of setting up the roof be a part of the school grounds, providing a diverse environment for kids to explore. The entire project blends man-made structure with nature as an exploration of what lessons can be learned from building with the environment.